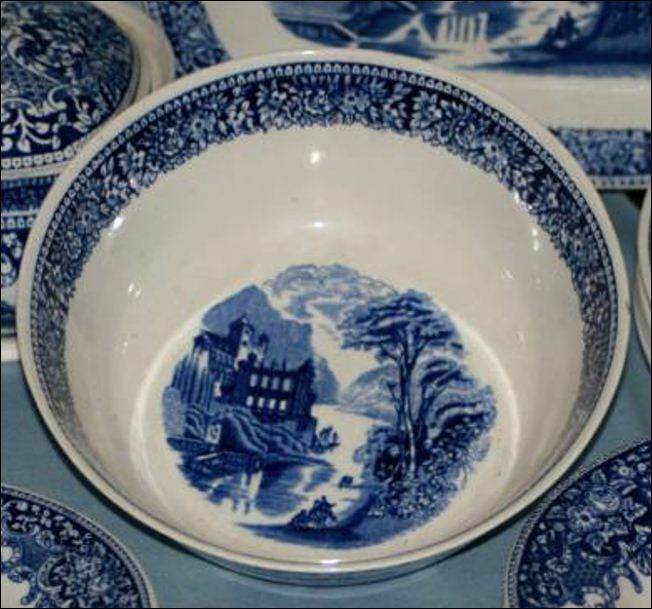 At the end of the 17th century the Dutch Delft pottery industry had 45 manufacturies with 10,000 workers. 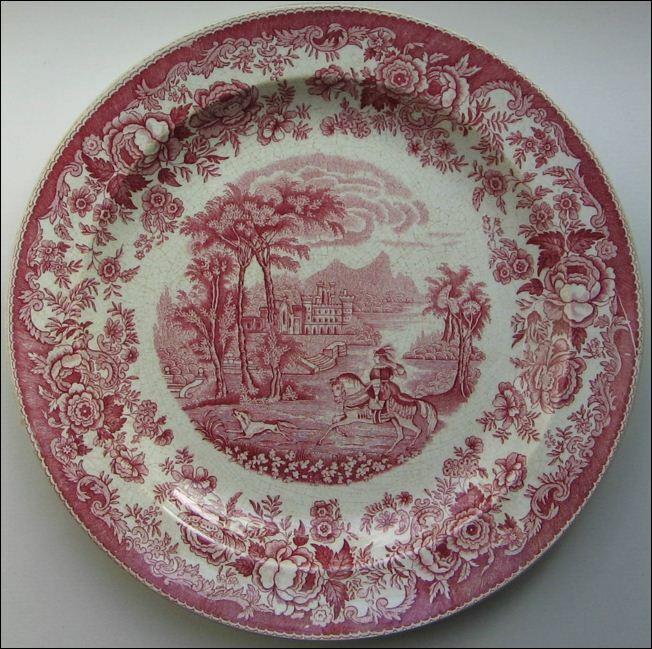 By the end of the 18th century, facing mounting competition from the North Staffordshire potteries, the industry had declined to 28 manufacturies with as few as 280 workers and by 1850 only two potteries and 76 workers remained. 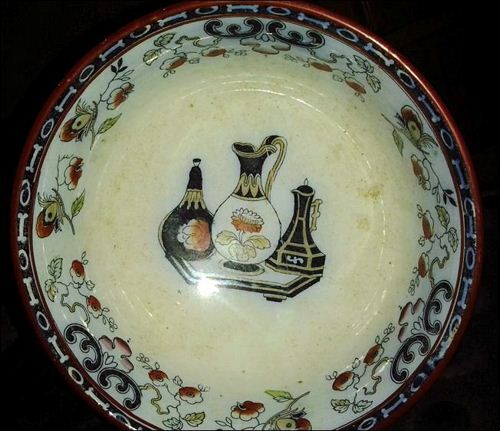 Petrus Regout was a Dutch industrialist , initially trading as a merchant on glass and pottery - by 1836 he had established both a glass and pottery factory in Maastricht - this grew to be one of the most important Dutch tableware producers from the latter half of the 19th century until World War II. 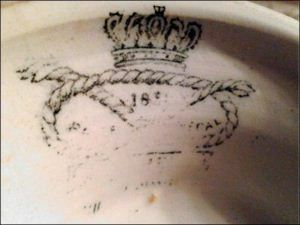 The reason that he is mentioned in this list of North Staffordshire potters is that some of his earlier pieces had a Stafford Knot as the mark on the back of the ware. 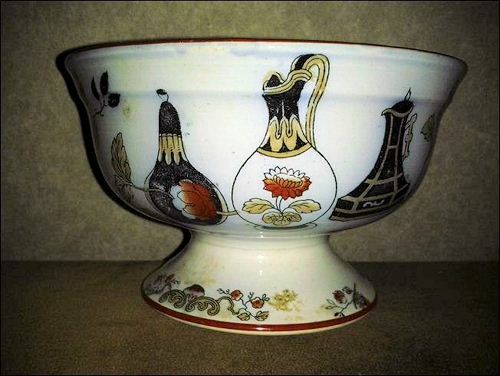 At the beginning Petrus Regout was unable to match the English ware in quality but his price was 40-50 cheaper. 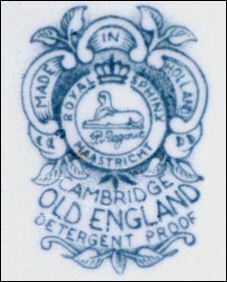 With the help of an English advisor and some Staffordshire potters he solved the problem of quality. 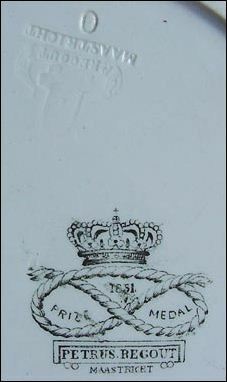 As well as employing English potters Regout had the engraved plates produced in North Staffordshire - hence the Stafford knot on he earlier ware. 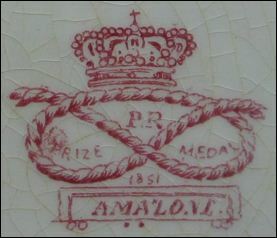 Petrus Regout ordered his copper plates directly from Staffordshire and was the only potter outside Staffordshire to apply the Prattware technique of using many different copper plates to produce multicolor patterns as seen on this plate. 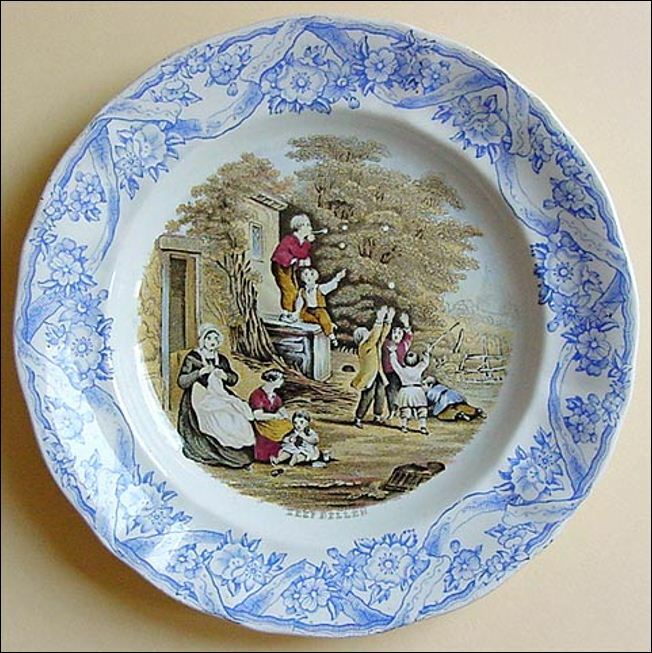 The Title of this plate is "Zeepbellen" which translates as "Soap Bubbles" - the original source of this pattern is the print titled "Blowing Bubbles" from the series "Le Blond Ovals" by G. Baxter published by Le Blond & Co in London around 1855.